Here’s my disclaimer. You’re either going to laugh at me at the end of this post or totally hate me for bringing back some repressed feelings of grief for fictional characters that you may have finally made peace with. My apologies. I read a lot and I watch a lot of TV. Because of this, I’ve got a lot of thoughts and feelings about fictional characters. I’ve shared a few of my fictional crushes, but I need to process some heavier emotions. Raise your hands if you’ve ever grieved a fictional death? Yup, I’m going there. On Sunday The Walking Dead gut punched me and countless others as they brutally killed off two amazing characters. One in particular hurt like hell. Glenn Rhee, the beautiful soul and father-to-be, who in my opinion was the true soul of the show was snatched from our screens. He managed to utter four beautiful last words to the love of his life and from the mass hysteria spreading across the interwebs you would have thought a real person died. I’ve read the comics and knew that Glenn was going to meet his fate. That didn’t make watching Denny Duquette Negan beat Glenn to a pulp any easier. But he’s not even, real!, you say. Uh, I know that, but he’s been gracing my screen for seven years. I’ve watched his character grow and evolve. Suddenly, he’s gone. Can’t a girl feel a sense of loss? I’m sure every fandom has a few fictional deaths they’ll never let go of. Hell, I’m still angry at Rose for being selfish and not sharing that wardrobe door with Jack. Empathy and sympathy are phenomena we experience almost daily in our dealings with others, and they play key roles in the way we respond to fictional characters. A 2014 American University study found superfans can feel a strong sense of loss in the aftermath of a character death. There’s a psychological reason we get so attached to fictional characters, Robert Rowney, a staff psychiatrist at the Cleveland Clinic, told The Huffington Post. Because of these emotional bonds we form watching certain characters, it’s perfectly understandable that we mourn their loss when they die on a show, Rowney continued. Let me start by saying this isn’t in any particular order and I’m leaving Glenn off this list. Poussey’s death was spoiled for me because I had the audacity not to watch all the episodes the day they were released on Netflix. I hope you read that in the most sarcastic tone ever. However, it still hurt, especially with the recent deaths of black people by the hands of law enforcement. Primose Everdeen and sweet, innocent Rue. Lawddd why?! I know the tributes are going to die, but I closed my book/shutdown my Kindle when we lost little Rue. To make matters worse, Prim’s death is the reason Katniss chooses Peeta – which I wholeheartedly disagree with. I became a puddle of tears watching Jen Lindley record a goodbye video for her daughter. Also, can we talk about the choice of having Sarah McLachlan’s Angel play during this scene- like we weren’t already suffering. I can honestly say I cry every time Veda tries to give Thomas J his glasses. Bette Midler singing “Wind Beneath My Wings”…Someone must be cutting onions in the room. I could mention any one of the traumatizing deaths on Grey’s Anatomy: Denny Duquette, George O’Malley, Lexie Grey, Mark Sloan, or Derek Shepard. Seriously, Shonda Rhimes stop victimizing us! My grief for fictional characters aren’t just reserved for humans. I’m not sure what’s more heartbreaking watching furbaby Sam protect her poppa or seeing Dr. Robert Neville put down his only companion was almost too much. And I’m still not over the death of Little foot’s mom and dare I mention the sweet Labrador, Marley. Dear John Green: The Fault In Our Stars was already sad then you riddled Gus with cancer and gave us this eulogy from Hazel. I’m still not convinced this death had to happen. Veronica Roth, get at me girl. I need to chat with you about this one. If none of these fictional deaths registered with you shame on you I’m going to give you one more chance to prove you’re not heartless. I hope the sadistic Disney writer who suggested this particular scene is proud of himself. I am 27 years old and Mufasa’s death is still one of the most tragic things I’ve ever seen. Hmm, I may have to make a Part Two of this list. 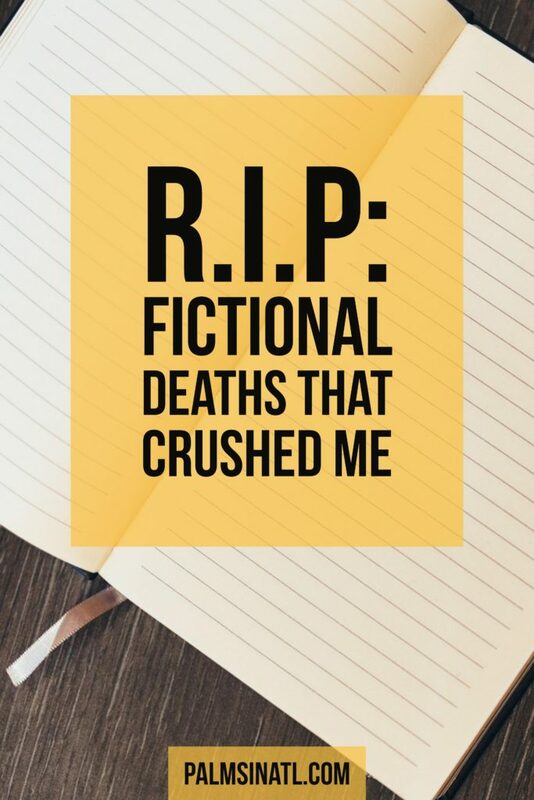 Which fictional deaths would you add to this list? Leave a comment below. Um, yes, I feel you. I bawled when Prim died in the book and when Rue died in the film. Somehow the different artistic mediums changed how I felt about the deaths. But how did you not include any deaths from Harry Potter?! Unless your Part 2 will be devoted solely to how many characters died in that series, then I will forgive you for not including them in this list. The death of Buffy’s mother in Buffy the Vampire Slayer destroyed me… But I did watch that season while my mom was in hospice care from a brain tumor. Buffy’s mom had a brain tumor. So I was unusually sensitive to it. Oh man I wish I hadn’t even opened this post lol. So many emotions being stirred right now. Many of those you listed were movies I haven’t seen, but I’ve seen a few. I remember crying so hard when they finally “found” Sophia in The Walking Dead. Laverne dying in Scrubs. Snape and Dumbledore dying in HP. And not a death, but Michael Scott leaving The Office. Yes, we come to love our characters so much that even fiction can make us cry. oh my, your number one is up there for me too. I was so upset when she died. just awful :/ and yesterday in the walking dead for me too. ahhh Derek dies?!! I am season 9 of greys so a bit behind. best not tell the hubby!! Ah, I’m so sorry I spoiled it for you. The episode, as emotional as it is, must be watched to get the full effect. Just have some tissues near. Thanks for stopping by and stumbling the post. I’ll definitely return the favor. I still cry every time Mufasa dies and I can barely make it through and episode of Grey’s without crying. I felt like Prim’s death was totally unnecessary and it was really only added in for shock value. Yes, Falon. Prim’s death was definitely more for shock value. Shonda Rhimes tortures us with Grey’s, but we just keep coming back for. Oh yes–I get very attached to fictional characters and very sad about deaths in books or TV shows if I love those shows. The deaths in Downton Abbey, Once Upon a Time, and Sherlock are pretty heartbreaking for me! Oh my gosh Neal and Robin Hood’s deaths on Once Upon a Time. I’m still mad. Although, I do really love Hook and Emma together. YES! This is so TRUE! I agree with all of your posts – especially Glenn. Of course they had to make it so gruesome that you can’t get it out of your head, too. I mean, seriously?! That show has not made me nauseous before but I had to watch on my laptop at the desk by my bathroom because I was scared I would get sick. Not cool, Walking Dead, not cool. Also, let’s talk about Snape, Dumbledore, Bambi’s mom, etc. I love this post. 🙂 You are fabulous. 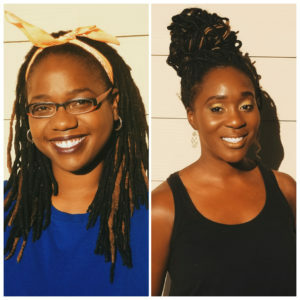 Lauren @ Glitter & Grandeur recently posted…Motivational Monday Vol. 2: Do It. I texted one of my friends a few minutes after Abraham’s death to tell him how nauseous I was and TWD never makes me feel that way. So I totally understand. Lauren, I could seriously do an entire posts on the tragic Harry Potter deaths. And I can’t beleive I forgot Bambi’s mom. Aw, thanks! Yes, Poussey was such a lovable character. Le sigh. I was shocked when Poussey died. Thankfully – I had a lot of friends who were respectful and didn’t spoil it for me. But seriously I think that was one of the first ones that really got to me. She was my favourite and Tastey trying to get to her… broke my heart. Glenn – I was so sad by, but being a comic book fan I knew that it was coming. Glenn’s passing is important arch for Maggie in her new role. He was ever the thoughtful one trying to look out for his wife still in the end. His death was just as graphic in the comic as it was on screen. I still need to watch all of the Talking Dead to see how they said goodbye to him and Abraham’s actors. Yes, when Tastyee crawls over to her – bring on the tears. The peace sign Abraham threw to Sasha, oh man. I’ve read the comics + know Glenn’s death catapults Maggie to a leader,but I’m so sad to see Steven Yeun go. Such a great actor! Anyways, I’ll definitely be on the lookout for your TWD posts. I’m reading this list like…”right”, “yeah”, “that was messed up”, LOL! Definitely brought back some memories and feelings! It’s funny that I won’t watch some of the new series as to not get attached to the characters…I can’t take it the older I get! Natasha, I don’t blame you. Sometimes it is way too much! Thanks for reading.